Wilson Lourenco has recently published an article presenting av new species of Physoctonus Mello-Leitao, 1934 (Buthidae) from southern Amazonia, Brazil. The biogeography of Physoctonus is also discussed. Further studies on new specimens of the rare genus Physoctonus Mello-Leitão, 1934, lead to the description of a third new species. Until now only Physoctonus debilis (C. L. Koch, 1840) and Physoctonus striatus Esposito et al., 2017, were known from sites located in the caatingas of the north-east region of Brazil. 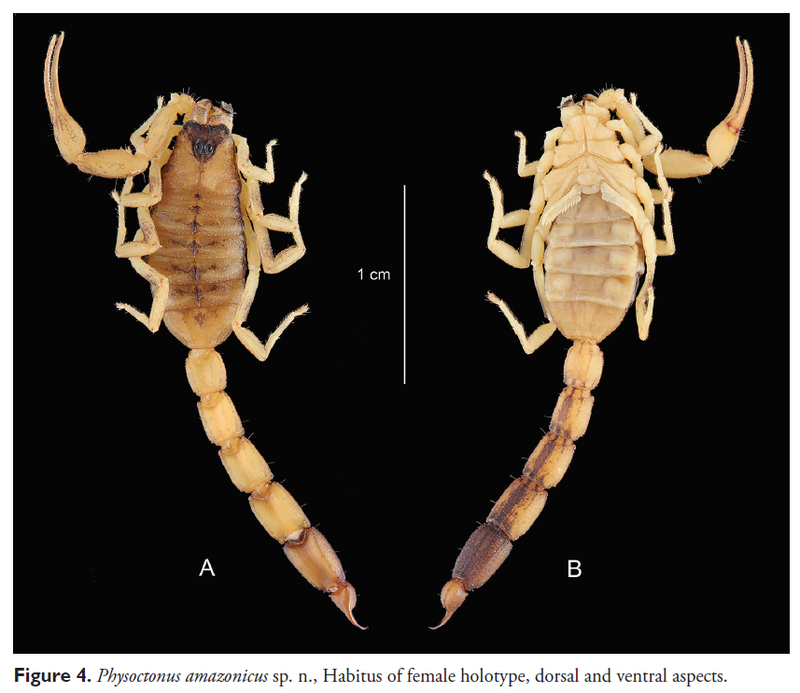 The new species of Physoctonus was collected by the French arachnologist J. Vellard in the Campos do Pará during his field trips back to the 1920/1930, and entrusted to the author in the early 1980s. The populations of P. debilis and P. striatus from north-east Brazil and that of the new species certainly present disrupted distributions. Biogeographical comments on this pattern of distribution are also added.